Not all sofas are made the same. There is a vast difference between an IKEA purchase and a more expensive, well-constructed sofa. While you might not have the budget for a $20,000 Italian masterpiece, spending just a bit more on a high quality sofa is always worth the investment, because you won’t have to purchase a new one in 5 years. 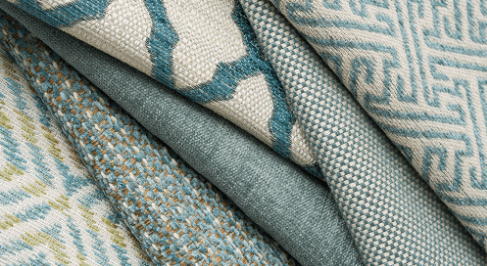 High quality sofas have the potential to last you a lifetime, which is why we offer top-of-the-line products from companies like Duralee, Kravet, and Thibaut. If you’re not sure where to start, read on for 5 things to look for when shopping for a new sofa. A quality piece of furniture is built from the inside, out. Soft wood such as pine, commonly used in big-box furniture store products (IKEA, West Elm, CB2), offer a tempting price point but are often prone to warping. Additionally, plastic composites or metal frames are known to bend, crack, and break after a prolonged period of use. Our private label furniture is outfitted with more durable hardwoods such as oak, ash, or beech, and typically come with a higher price tag to reflect this durability. 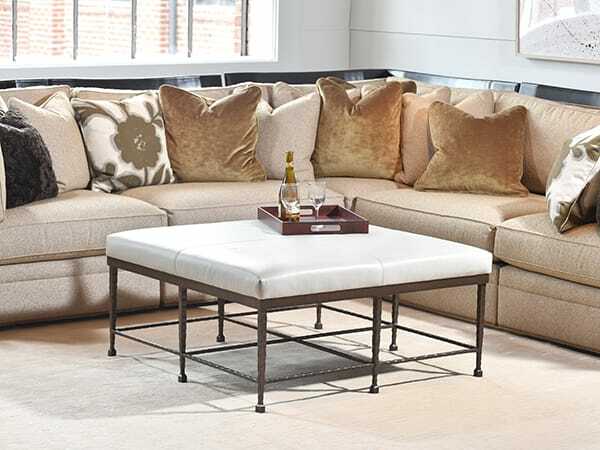 When shopping for your new sofa, make sure the piece is fortified with wooden dowels, double wooden dowels, wooden corner blocks, or metal screws with brackets at the joints. In cheaper models, sofas are held together by staples or nails, known to bend and break over time. Sofas pieced together with glue are also known for their tendency to wear over time and use. Steer clear of legs that are held to the sofa frame with glue, and instead search for products with legs held on by dowels or screws. The springs embedded in your sofa provide a much-needed support for your seat. However, low-quality springs are problematic as a sofa ages. They can press on the frame or snag over time if the proper metal isn’t used. Higher-quality sofas are fitted with more expensive springs that are much more comfortable than springs made of lighter metals. Be sure to feel for the springs through the sofa’s upholstery. Springs should be closely placed, and difficult to crush. They should not be squeaky or creaky, as that indicates they are interfering with the frame. Two good filling options that are comfortable and reasonably priced are high-resilient foam paired with a layer of down, or conventional foam wrapped in polyester batting. On the higher end of the filling spectrum is goose down mixed with feathers, which is about as comfortable as they come. Down-polyfiber blends are cheaper, but flatten and warp quickly. We recommend the use of HR foam, because it is more durable and entirely comfortable. 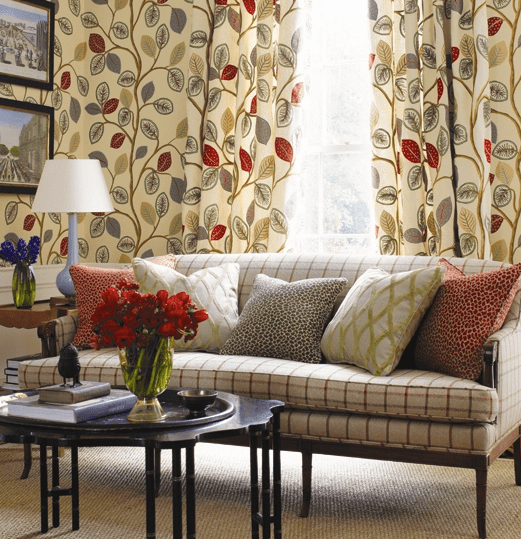 Sofas for everyday use need durable fabric. 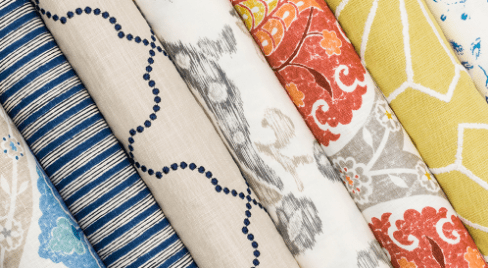 Brands like Kravet and Thibaut offer cotton and linen choices, which are significantly more durable than fabrics like silk. Another durable option is synthetic microfibers come at a close second, and are often more stain resistant than their cotton counterparts. On the higher end of upholstery selection, wool and leather are handsome and strong but a higher price point. Regardless of what fabric you choose, remember that woven patterns tend to wear better than fabrics with printed patterns. For more questions about sofas or other home furnishings, contact the interior design experts at Design Studio Interior Solutions.